When Cassi Eubank wrote Diary of an Ugly Sweater, the reviews all spoke of the great lessons learned in a fun way. By going on this journey with Sophie the ugly sweater in this tale, you experience new ways of handling challenging situations that come up in life. 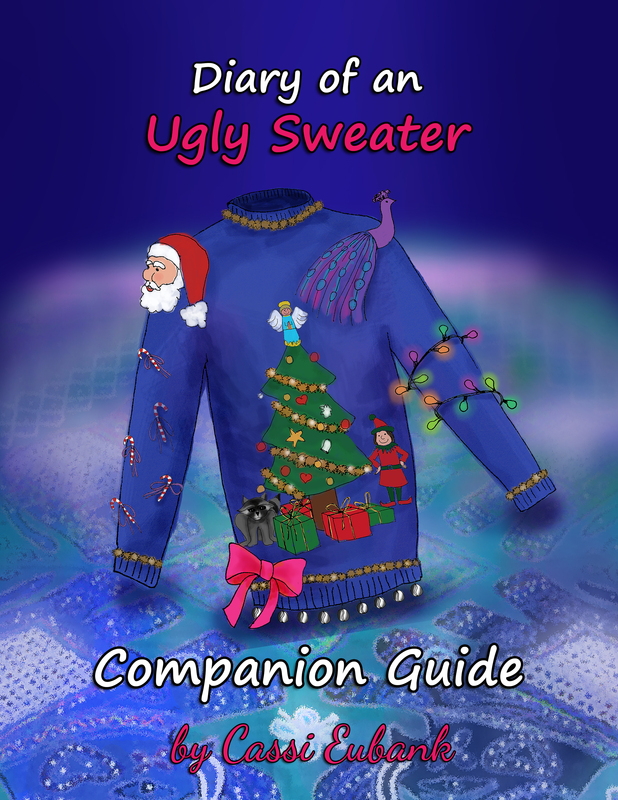 The companion guide to Diary of an Ugly Sweater was designed to ask questions about how Sophie dealt with situations that she was presented with. It invites the reader to come up with other creative solutions to everyday problems before they are confronted with them in their own lives. By coming up with solutions in a safe environment, those who reap the benefits of both books will increase their skills in creating positive outcomes and learn to come up with logic based solutions rather than emotional based solutions which usually do not provide the best outcome. By exploring self-esteem, confidence, non-judgement, patience, empathy, mood elevating techniques and more, those who take advantage of this fun and creative companion guide will come to new understandings regarding ways to deal with situations in life with grace and ease. When Sophie was getting ready to leave the factory she was created in, she was excited about what the future held for her while still a little sad about leaving the life she knew and loved. 1. How do you feel about change? Is it exciting or scary for you? 2. Name a change that you made which made you very happy.